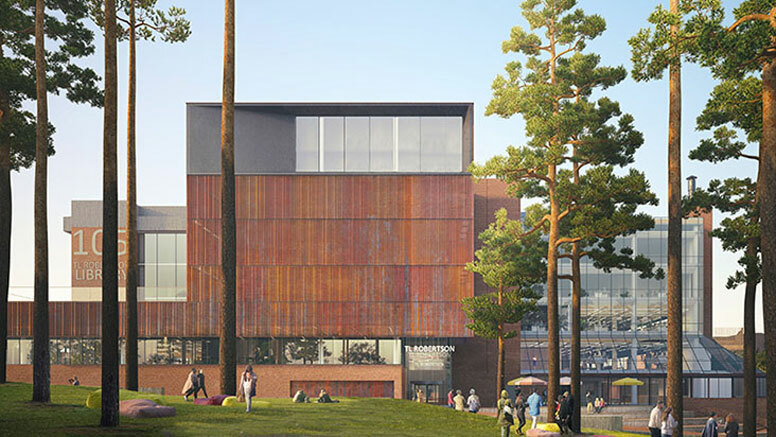 National architecture firm Hames Sharley is working with international partner Schmidt Hammer Lassen Architects to deliver the TL Robertson Library’s design solution. The TL Robertson Library is the busiest building on Curtin’s Perth Campus with two million visits a year, which includes members of the wider community. Curtin University Vice-Chancellor Professor Deborah Terry said the role of libraries was changing as a result of the rapid advances in technology and the major refurbishment would ensure Curtin’s Library continued to respond to the contemporary needs of the community. The new features include a large atrium in the centre of the building with auditorium-style study stairs connecting the second and third levels as well as new flexible teaching spaces. The re-design focuses on preserving the building’s iconic brutalist architecture and creating additional internal spaces spanning more than 2000sqm to facilitate informal learning, knowledge sharing and collaboration across the University. Construction is expected to start later in 2019 and will be staged to ensure the library remains open throughout all stages of works.